Leon Marcus Uris (August 3, 1924 - June 21, 2003) was an American novelist, known for his historical fiction and the deep research that went into his novels. His two bestselling books were Exodus, published in 1958, and Trinity, in 1976. Leon Uris was born in Baltimore, Maryland, the son of Jewish-American parents Wolf William and Anna (Blumberg) Uris. His father, a Polish-born immigrant, was a paperhanger, then a storekeeper. William spent a year in Palestine after World War I before entering the United States. He derived his surname from Yerushalmi, meaning "man of Jerusalem." (His brother Aron, Leon Uris' uncle, took the name Yerushalmi) "He was basically a failure," Uris later said of his father. "He went from failure to failure." Uris a Leon Marcus Uris (August 3, 1924 - June 21, 2003) was an American novelist, known for his historical fiction and the deep research that went into his novels. His two bestselling books were Exodus, published in 1958, and Trinity, in 1976. Uris attended schools in Norfolk, Virginia and Baltimore, but never graduated from high school, after having failed English three times. 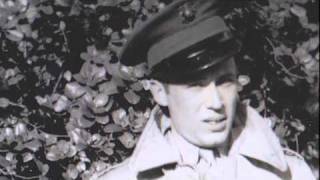 At age seventeen, while in his senior year of high school, the Japanese attacked Pearl Harbor and Uris enlisted in the United States Marine Corps. He served in the South Pacific as a radioman (in combat) at Guadalcanal, Tarawa, and New Zealand from 1942 through 1945. While recuperating from malaria in San Francisco, he met Betty Beck, a Marine sergeant; they married in 1945. Coming out of the service, he worked for a newspaper, writing in his spare time. In 1950, Esquire magazine bought an article, and he began to devote himself to writing more seriously. Drawing on his experiences in Guadalcanal and Tarawa he produced the best-selling, Battle Cry, a novel depicting the toughness and courage of U.S. Marines in the Pacific. He then went to Warner Brothers in Hollywood helping to write the movie, which was extremely popular with the public, if not the critics. Later he went on to write The Angry Hills, a novel set in war-time Greece. According to one source, in the early 1950's he was hired by an American public relations firm to go to Israel and "soak up the atmosphere and create a novel about it". That novel would be Exodus, which came out in 1958 and became his best known work. Others say that Uris, motivated by an intense interest in Israel, financed his own research for the novel by selling the film rights in advance to MGM and writing articles about the Sinai campaign. It is said that the book involved two years of research, and involved thousands of interviews. Exodus illustrated the history of Palestine from the late 19th century through the founding of the state of Israel in 1948. It was a worldwide best-seller, translated into a dozen languages, and was made into a feature film in 1960, starring Paul Newman, directed by Otto Preminger, as well as into a short-lived Broadway musical (12 previews, 19 performances) in 1971. Uris' novel Topaz was adapted for the screen and directed by Alfred Hitchcock. Uris' subsequent works included: Mila 18, a story of the Warsaw ghetto uprising; Armageddon: A Novel of Berlin, which reveals the detailed work by British and American intelligence services in planning for the occupation and pacification of post WWII Germany; Trinity, an epic novel about Ireland's struggle for independence; QB VII, a novel about the role of a Polish doctor in a German concentration camp ; and The Haj, with insights into the history of the Middle East and the secret machinations of foreigners which have led to today's turmoil. He also wrote the screenplays for Battle Cry and Gunfight at the O.K. Corral. Uris was married three times: to Betty Beck, with whom he had three children, from 1945 through their divorce in 1968; Margery Edwards in 1969, who died a year later, and Jill Peabody in 1970, with whom he had two children, and divorced in 1989. 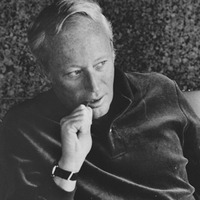 Leon Uris died of renal failure at his Long Island home on Shelter Island, aged 78. What do we want to do for our Ireland Historical Read in March?